AdSense: Two new bigger sizes 970 x 250 Billboard and 300 x 1050 Portrait, make more money ? 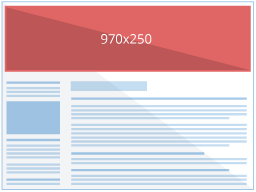 Recently Google introduced two big AD sizes for ADsense, the 970 x 250 Billboard and 300 x 1050 Portrait. Google said "they can show similar-sized image ads when doing so will maximize the performance of your ad unit. " Does not mean you can make more money ? Both large ad units (as in following picture) can accommodate standard text-only ads and image ads. A 300 x 250 ad would serve in the bigger 970 x 250 Billboard unit, and a 160 x 600 would serve in the 300 x 1050 larger Portrait unit. 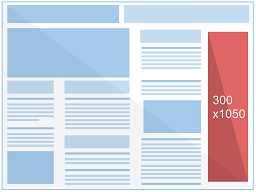 And, you can place a maximum of ONE Ad of each unit per page / post. It will take a little bit time to find out how they performs. If you have any experience, good or bad, please share.